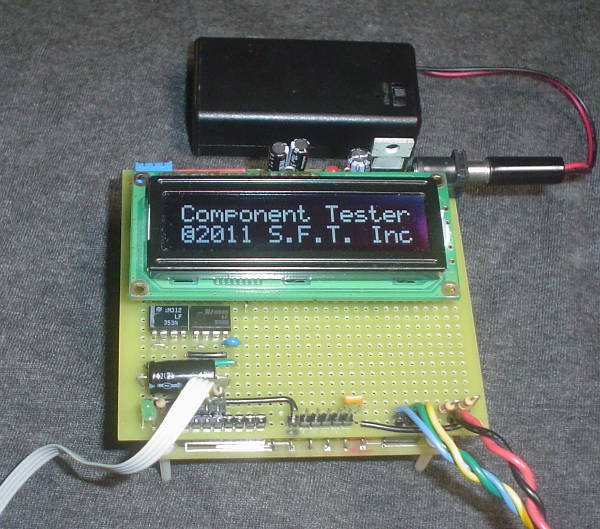 The SFT Component Tester is a microcontroller-driven test signal and measurement unit that uses various common "ohm meter" style test methods to determine whether or not a component is good or bad, and the type of component being tested. 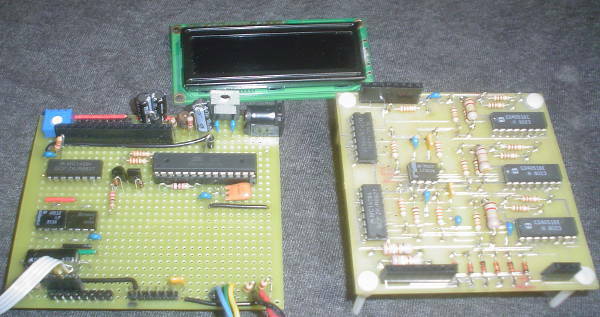 The primary purpose of the design was to test a number of 'Proof of Concepts' for microcontrollers in general, as well as discovering the limitations, known design issues, and as many "unknown" or "unexpected" issues that a single project might be able to uncover. This device is certainly a "work in progress". It was my original hope that I could build an in-circuit test device that would allow me to identify bad parts without actually removing them from a circuit, by testing the device with "safe" signals. 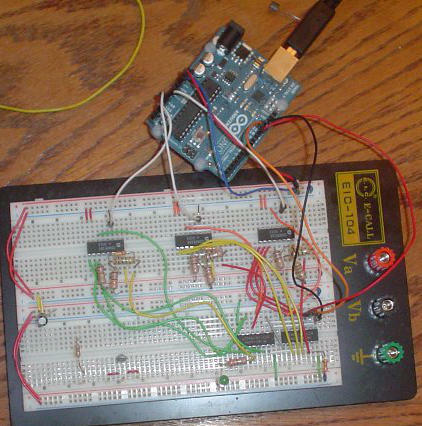 Although the hope of that feature remains, I am still working on the basic functionality of the device. This project remained 'on the shelf' for quite a while, in favor of other projects, because of a problem I discovered with the A:D converter on the AVR microcontroller: Even though the DC input impedence of the A:D converter is relatively high, the nature of the conversion causes 'inaccuracies' to appear when a series resistance greater than about 10KΩ exists between a measured voltage and the A:D converter. This meant that resistance measurements greater than 100KΩ would be highly inaccurate. All of my attempts to reconcile this were pretty much futile. It meant a re-design to include op amp 'buffers' as well as a split power supply to allow for the input voltage range being anywhere between 0V and 5V. Tests semiconductors, resistors, inductors, and capacitors. Procedure involves taking measurements on a single known resistor (10.0KΩ) and a 10% tolerance 0.1µF capacitor, plus shorting specific test leads and taking 'open lead' measurements (when prompted). Placed CPU and regulator directly on the controller board, making for a more compact design. Official board design to follow. 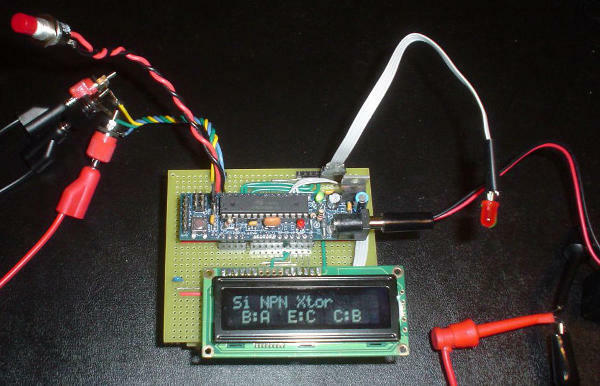 The re-designed controller board fits both a 2-line and 4-line LCD without difficulty. This is the first prototype, Nov 9, 2011. The main board underneath is not visible.